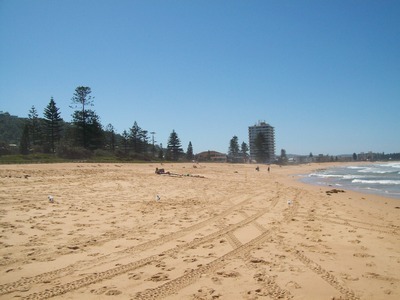 Collaroy Beach is situated on the Northern Beaches of Sydney. It is an ideal place to visit for the whole family and is suitable for children of all ages. 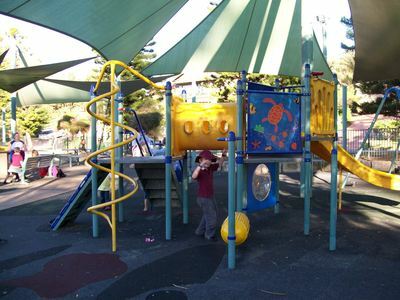 The southern end of the beach has an enclosed playground with play equipment for children from 1 to 8 years of age. Next to the playground is plenty of open green space, where older children can run and play. There are several BBQs inside the playground. There are plenty of cafes across the road from the beach, which offer not only coffee, but also hot food. You will also find plenty of shade, tables and picnic areas near the Collaroy surf club. Also toilets and showers. Collaroy Beach is a patrolled beach and has two rock pools - a shallow one for smaller children and a 25 metre pool ideal for those wishing to swim laps.